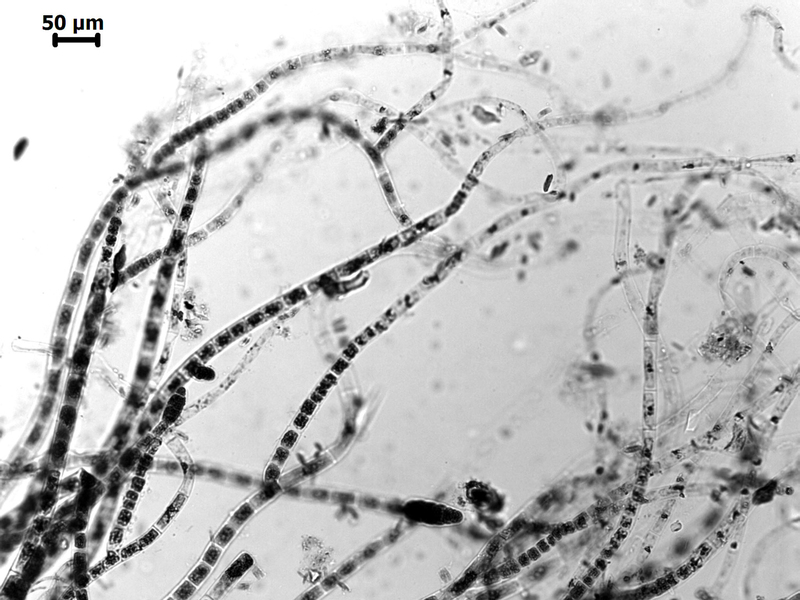 Plants comprising a tangled mass of fairly sparsely branched uniseriate filaments up to 25 mm long. Cells of main axis ca. 30-60 µm long x 15-25 (-40) µm broad: main axis bearing slightly incurved shorter laterals centrally on the parent cell. Growth of main axis generally diffuse, with meristematic regions towards the base of shorter laterals. Cells of laterals to 20 µm long x 15 µm maximum diameter, tapering to a false hair ca. 10 µm in diameter composed of 3-5 elongated cells. Numerous discoid plastids per cell. Plurilocular sporangia sessile or with a one-or two-celled stalk, produced from centre of parent cell, occasionally terminal, 80-100 µm long, 25-35 µm diameter, with few (to ca. 20) loculi, tapering. No other reproductive structures seen. Found in mixed turfs on intertidal algae. Recorded from False Bay (Western Cape) to the East London area (17-41). World distribution: widespread in tropical and temperate Atlantic, Mediterranean, also Australia, New Zealand, Japan (Guiry & Guiry 2017). Type locality: Scotland (Womersley 1987). Note: Stegenga et al (1997) point out that this could be a phase in the life history of another ectocarpoid. 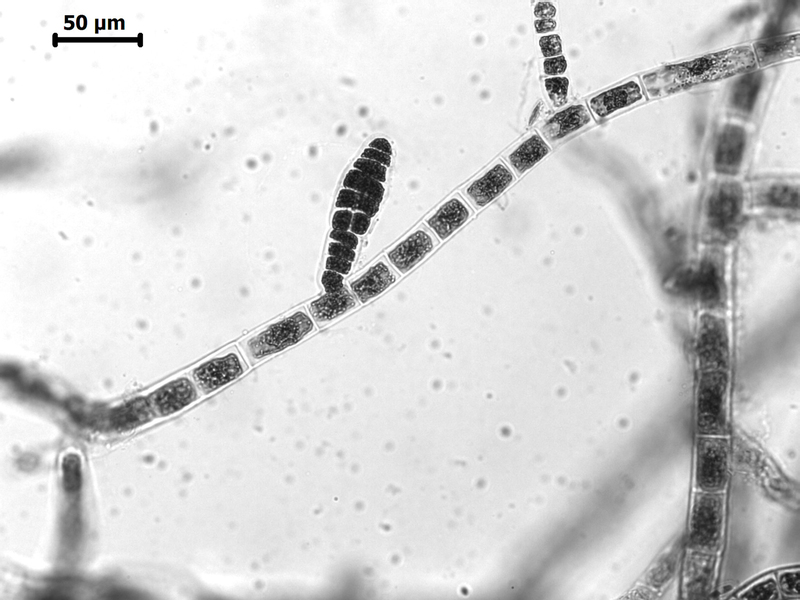 Acinetospora crinita. Top – microscopic habit; middle - detail of subapical (hairlike) part of erect filament; below – plurilocular sporangia (reproduced from Stegenga et al. 1997). Guiry, M.D. & Guiry, G.M. 2017. AlgaeBase. World-wide electronic publication, National University of Ireland, Galway. http://www.algaebase.org; searched October 2017. Sauvageau, C. 1899. Les Acinetospora et la sexualité des Tiloptéridacées. Journal de Botanique, Morot 13: 107-127.